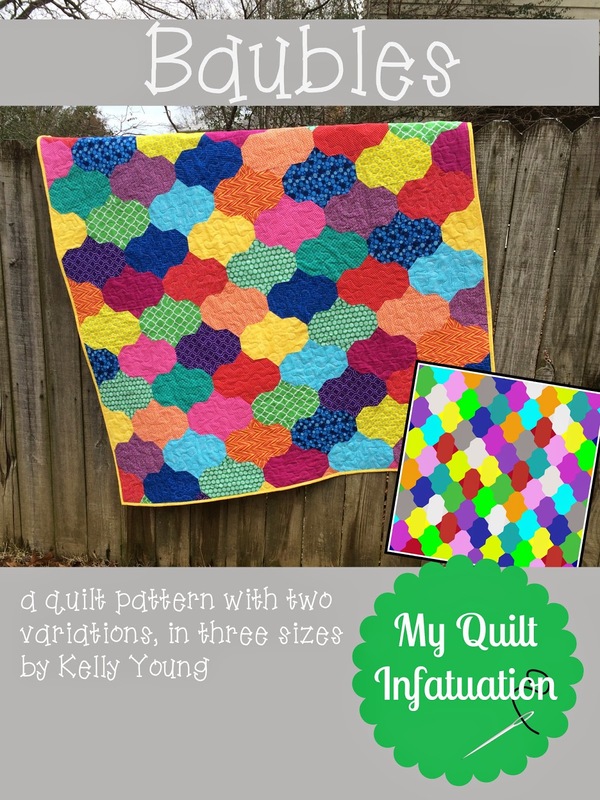 My Quilt Infatuation: Baubles Pattern and NTT! 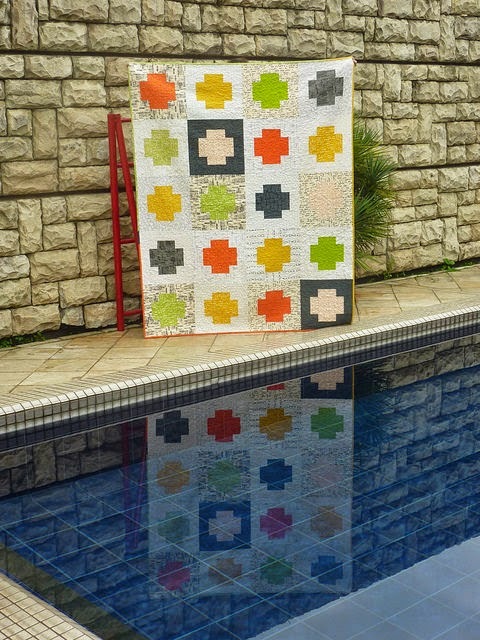 Congratulations on completing another pattern, it's a beauty! 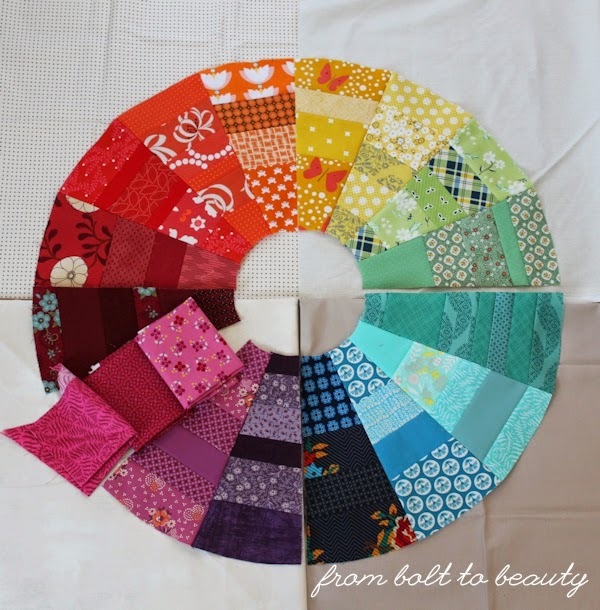 I went to your Craftsy Pattern Store and this Baubles quilt is indeed perfect for showing off beautiful fabric. I added it to my wish list. Thank you for hosting link parties week after week! Love the Baubles pattern! Hope it is a good seller for you! Such an ingenious design! It is so pretty! Congrats on finishing the pattern! What a really neat pattern Kelly. I really like how original that shape is and what beautiful features from last week's party! I REALLY REALLY LOVE this! Once you have the pattern I am going to make one! This is too awesome! I think they also remind me of small 'convo. bubbles' in cartoons, etc. Love it! 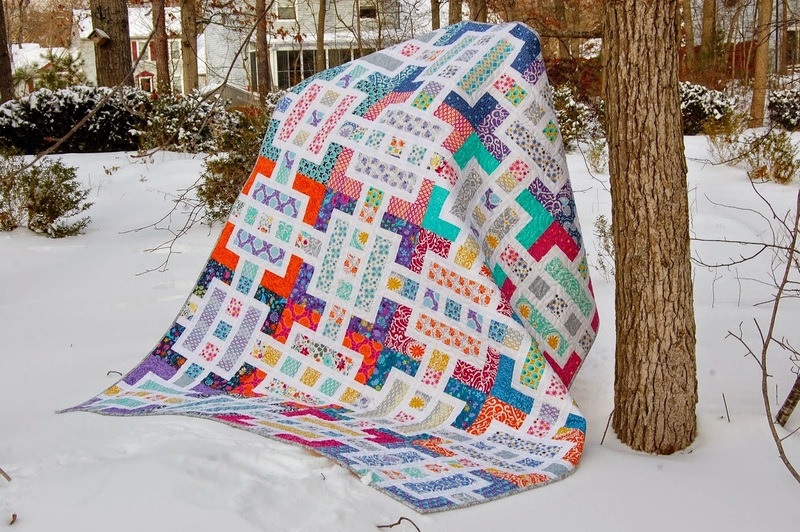 I love your Bauble quilt, the colours and all. Great pattern! Love that ist has both horizontal and vertical versions!